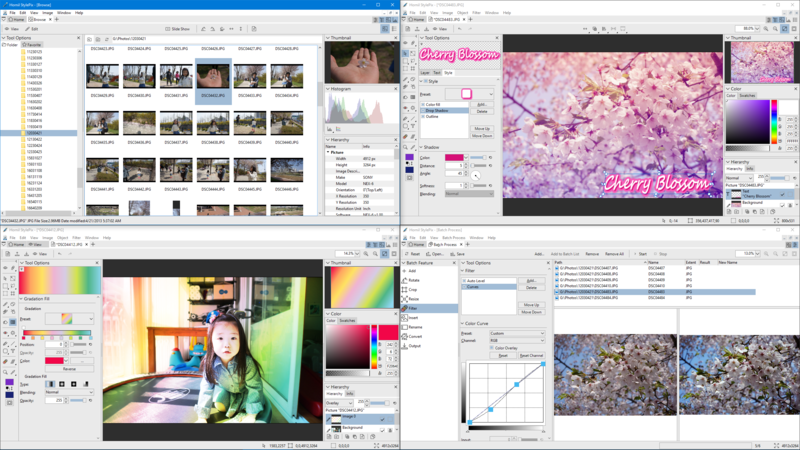 Image viewer, browser, editor, batch processing and capture program are integrated into one. Now with StylePix Pro, you do not need anything else. Improved the UI to incorporate all functionality and work more organically. Toolbars only show what is needed depending on the situation. All windows and tools are adjusted according to DPI. The new UI can also be used properly on 2-in-1 devices. If you have a 1.0 license, you can continue to use it.